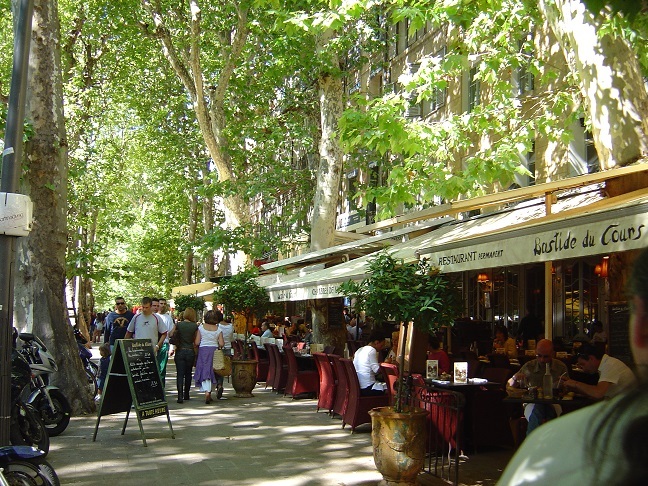 Aix-en-Provence is a perfect Provencal city, large enough to be sophisticated but small enough to navigate on foot. 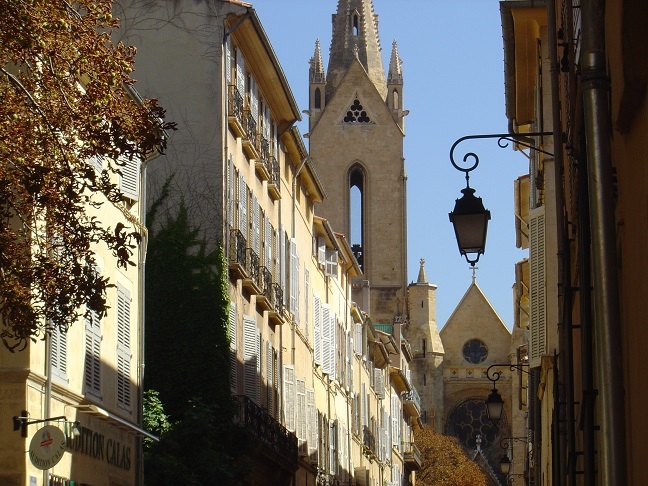 A university and spa town with a population of 150,000, its location offers many possible excursions (Arles, Avignon and Nimes), and it is just half-way between the beaches of the Mediterranean (Nice, St. Tropez, Antibes, etc.). 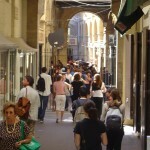 It’s a picturesque city of Roman origin, with a busy center full of boutiques, restaurants, cafes and open-air markets. It has a great artistic heritage and organizes a world-famous Arts and Music Festival each year. 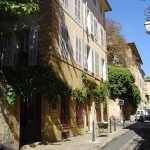 The IS Aix-en-Provence French Language Institute is an international language school specializing in French Courses for adults in Aix-en-Provence since 1972. 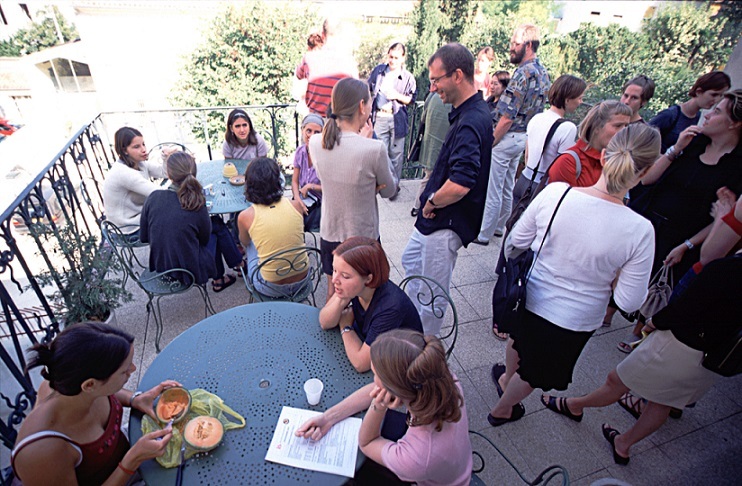 It belongs to International Language Schools, a Swedish association affiliated with the University of Stockholm. International Schools has established centers in Europe to allow its students to learn a language in the country where it is spoken. 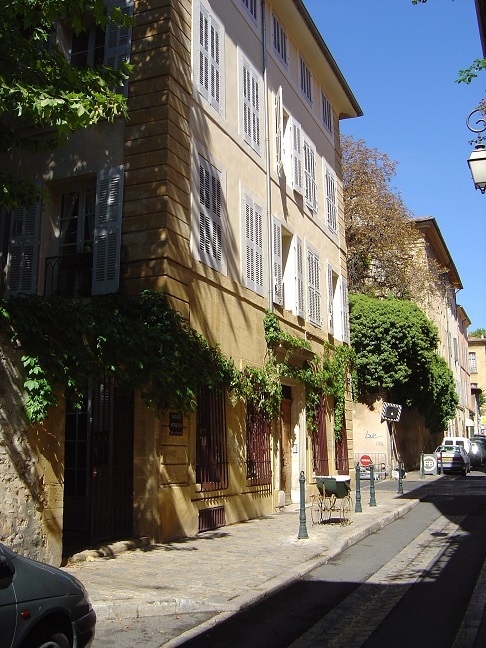 The French Language school is located in a charming 3 story house close to the edge of the historical center of town ( a 9 minute walk from the center). Two bus lines serve the school with a bus stop right in front of the school entrance. 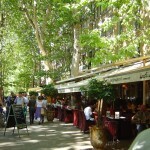 A few shops, bakeries and a restaurants can be found close by as well as the Torse gardens and the municipal swimming pool. The building features 16 comfortable air conditioned classrooms equipped with audio and video projection screens, a multi media room with e-mail access and CD Roms in French, two outdoor patios perfect for relaxing and socializing during the warmer months as well as a garden with a small pond. The multilingual administrative staff is always ready to assist students with general information, reservations for excursions, car rentals, airline and railway tickets, and happy to provide suggestions for some of the many wonderful restaurants and cafes in town. Minimum age: 18. Length of lessons: 45 min. Complete beginners: please pay special attention at starting dates and special conditions of enrollment (see notes under starting dates!). General French Course PLUS (FG+): The General French Courses PLUS consist 30 French lessons per wk. Maximum of 10 students per class (maximum of 6 in the afternoon sessions). Elementary to advanced French Language levels only. NO beginners. 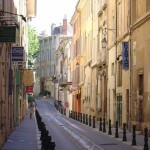 Long Term French Courses consisting of 20 French lessons per week (morning or afternoon schedule). Maximum of 10 students per class. Important: High elementary French language level required! Long Term courses are available for 8, 16 or 24 weeks in length. Starting dates 2019: 21 January, 18 March, 13 May, 8 July, 2 September, 28 October. Starting Dates 2019: 18 February, 1 April, 13 May, 19 August, 14 November. Price 2019: 2 weeks: USD 2,721. 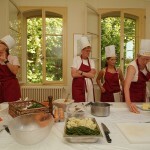 French Language and Discovery of Provence Gastronomy (DCP): 2 week course. 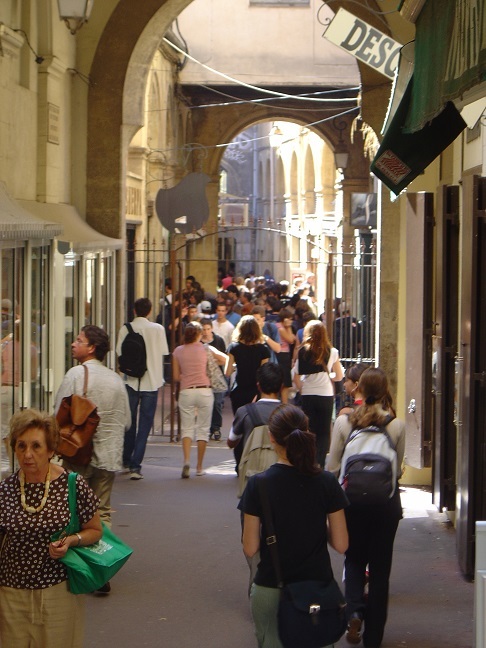 Combination of General French Courses (group course 20 lessons per week), with 15 hours of afternoon activities during the two week period including guided tour of the city, introduction to Provencal cooking lecture, wine and cheese tasting, visits to a vineyard and olive oil mill, and 4 afternoons of hands-on cooking classes followed by a meal. Minimum French level required: Elementary (A1). Price 2019: 2 weeks: USD 1,400. Starting dates 2019: 1 April, 13 May, 30 September. 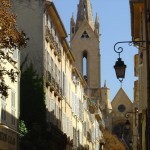 French Language and Provence Discovery (DP): 2 week course. Combination of General French Courses (group course 20 lessons per week), with 24 hours of afternoon and Sunday activities during the two week period. 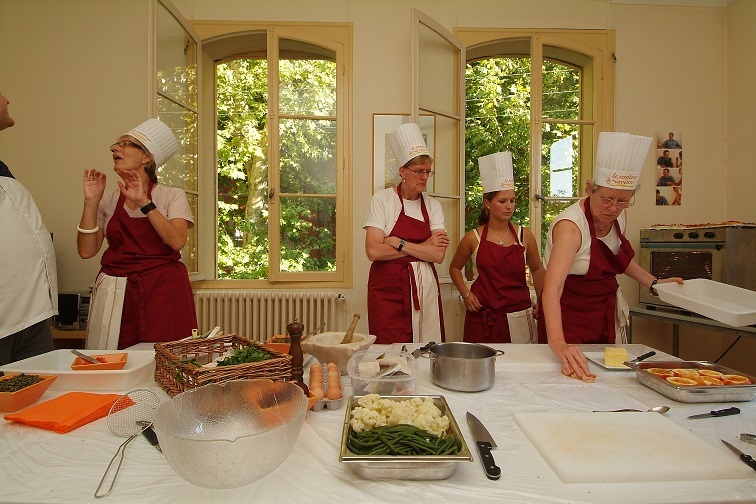 This French and culture course offers the opportunity to practice French while discovering Provence, its historical and cultural heritage, its products and its countryside through various activities. 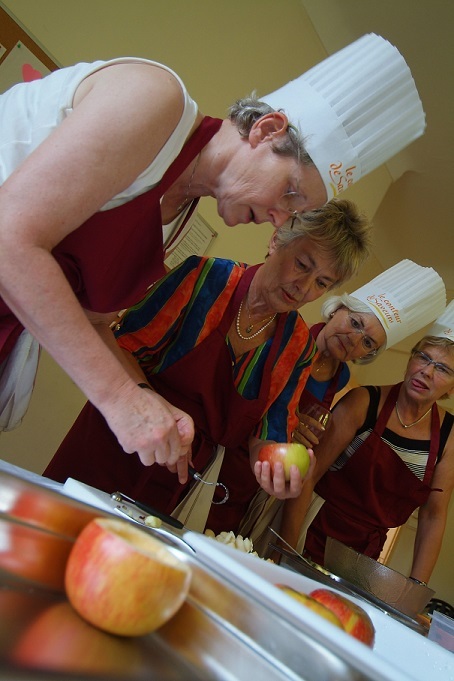 Program consists of introduction of the cultures and traditions in Provence, excursions, cultural and social activities, 1 cooking class and 1 wine-tasting. Minimum French level required: Elementary (A1). Price 2019: 2 weeks: USD 1,442. Starting dates 2019: 18 March, 24 June, 2 September. French Language and Painting: Must be booked in combination with the General French Courses (group course 20 lessons per week). 12 hours of painting classes in the afternoon over a two week period (fusain and oil). All French language levels accepted. It can be booked at any time of the year. Fees for the painting course are payable directly to the provider in Euros upon arrival. 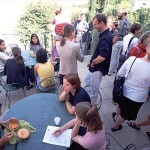 Price: 2 weeks: From 460 Euros plus a booking fee of USD 65 which will be added to the price of General French course. Starting dates 2019: Any week of the year upon request. French Language and Golf: Must be booked in combination with the General French Courses (group course 20 lessons per week). 10 hours of golfing in the afternoon over a two week period. All French language levels accepted. It can be booked at any time of the year. Fees for the Golf portion of the course are payable directly to the provider in Euros upon arrival. Price: 2 weeks: From 650 Euros plus a booking fee of USD 65 which will be added to the price of General French course. French Language and Horseback Riding: Must be booked in combination with the General French Courses (group course 20 lessons per week). 10 hours of horseback riding in the afternoon over a two week period. All French language levels accepted. It can be booked at any time of the year. Fees for the Horseback Riding portion of the course are payable directly to the provider in Euros upon arrival. Price: 2 weeks: From 250 Euros plus a booking fee of USD 65 which will be added to the price of General French course. ** Prices are set by third party providers and subject to change without notice. Please confirm price at time of booking. Holidays 2019 – No classes are held on: 1 January, 22 April, 1 May, 8 May, 30 May, 10 June, 14 July, 15 August, 1 November, 25 December. Classes missed due to holidays are made up during the same week of the holiday. Accommodations are offered with specially selected local French host families, hotels or apartment hotels. Host Family – Single Room / Half Board: 1 week: USD 317; 2 weeks: USD 633; 3 weeks: USD 950; 4 weeks: USD 1,267; Extra week: USD 317. Long Term: 12 weeks: USD 3,468. Host Family – Single Room / Breakfast: 1 week: USD 234; 2 weeks: USD 467; 3 weeks: USD 701; 4 weeks: USD 935; Extra week: USD 2394 Long Term: 12 weeks: USD 2,274. New Option: Host Family, no meals, use of kitchen: 1 week: USD 220; 2 weeks: USD 440; 3 weeks: USD 660; 4 weeks: USD 880; Extra week: USD 220. Long Term: 12 weeks USD 2,262. Hotels* – From USD 81 – USD 220 per day Apart-Hotels* – From USD 505 – USD 1300 per week. *Note: the school charges a USD 32 booking fee for hotel and apart-hotel reservations which is invoiced with program cost. Payment for this type of accommodations is done directly to hotel. 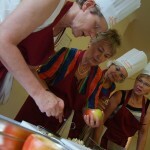 “My Vacation’N Learn experience was outstanding. I was truly immersed in the French language and in the culture. My language skills expanded and improved each day because of the regular opportunities to interact with local merchants, my host family, instructors and the other students. In my class of 8 students, 6 different nationalities were represented, with our common language being French. 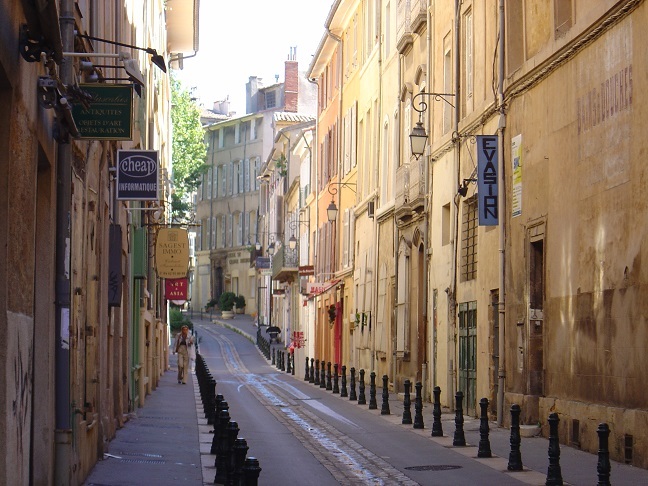 If you’ve ever considered a French immersion program, this one is fun, interactive, professional and located in one of France’s most charming cities.” Nancy Holt – Writer.